Playback Designs was founded less than three years ago. 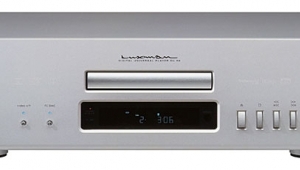 However, with the release in 2008 of its MPS-5 Music Playback Systema slim, full-featured SACD/CD player and DAC that costs $15,000 and is built in the USthe company has since established itself as a significant player in high-performance digital audio. It's probably a prejudice, but in audio, we tend to associate individual design achievement with analog equipment (phono cartridges, loudspeakers), and anonymous group effort with digital gear. 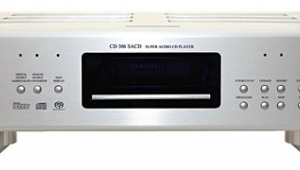 How many enthusiasts of SACD are familiar with Playback Designs' Andreas Koch? 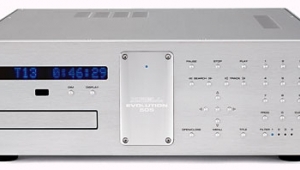 Koch's pedigree in the field of digital audio is long and impressive: working for Studer ReVox in 1982, he designed and built the world's first fully asynchronous digital audio sample-rate converter. He then designed one of the first digital audio filter banks512 paralleled filters were employed to reduce, in the digital domain, noise in vintage recordings. Koch then worked for Dolby Labs, where, in 1985, he built the encoder/decoder DSP system used in Dolby's first professional digital audio product, the AC-1 encoder and decoder used for TV audio transmission. 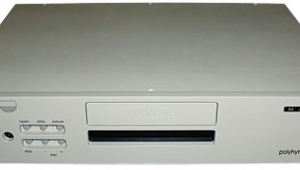 In 1986 he built the hardware for the first version of what would become Dolby Digital compressed audio (originally AC-3), the default sound format of both DVD-Video and DVD-Audio formats. 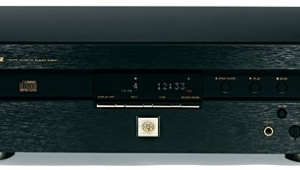 Back at Studer in 1987, Koch oversaw there the development of a 48-track, 1/2" digital tape-recording format and, later, a PC-based hard-disk digital recorder. Back in the US but still working for Studer, Koch managed an engineering team that developed and launched, in 1992, Dyaxisthe hard-diskbased digital audio editing system. 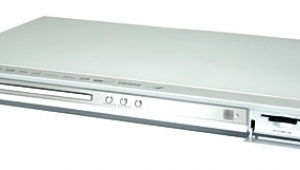 In 1997, now working for Sony, Koch managed an engineering team that developed Sonoma, the world's first eight-channel system for recording, mixing, and editing in DSD, and now used in the production and postproduction of most SACD releases. 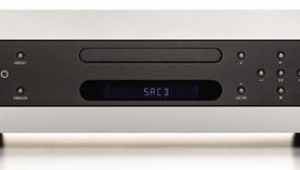 Koch designed the digital components in the A/D and D/A converters used in the Sonoma, then expanded them to a single-PC, 32-channel DSD system. Koch became an independent contract engineer in 2003, and spent the next four years designing all of the highly regarded digital audio products, both professional and consumer, for Ed Meitner's EMM Labs. In that capacity, he invented new algorithms for sample-rate conversion, a discrete D/A converter, and new digital clock-management architecture. 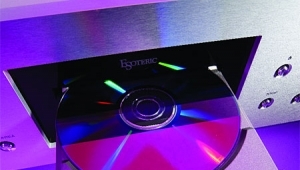 On ending his relationship with EMM, Koch established Playback Designs with Blue Light Audio's Jonathan Tinn, who, aside from distributing various high-performance audio lines, was EMM's vice-president of global sales and marketing. Blue Light distributes Playback gear in the US. 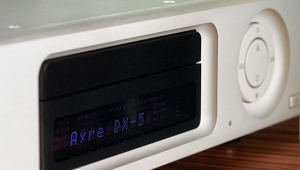 The MPS-5's digital input/output section is carried in the chassis's upper, silver-finished section; the lower, black half carries a modified TEAC Esoteric SACD/CD transport at the front and the D/A and analog output circuitry at the back. 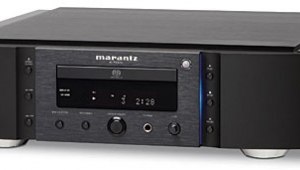 The DAC has AES/EBU, S/PDIF, and TosLink inputs capable of receiving stereo linear PCM signals with resolutions/sample rates up to 24-bit/192kHz, as well as a direct USB connection for Windows-based computers, though the latter accepts sample rates up to only 48kHz with 16-bit word lengths. 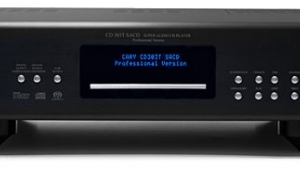 Playback Designs' proprietary optical link, called Playlink, connects to other Playback gear such as the MPD-5 DAC and supports multiple audio formats as well as multichannel configurations. The MPS-5's Auxiliary input permits unspecified "future expansion"; a second USB port supports software-based DAC updates; and an RS-232 port offers PC-based remote control. 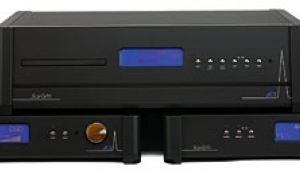 The analog outputs are balanced XLR and unbalanced RCA and BNC (50 ohm), for use with the darTZeel NHB-18NS preamplifier from Switzerland, which Blue Light Audio also distributes. 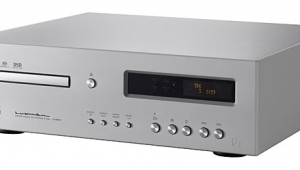 The MPS-5 is handsome, extremely well constructed, and ergonomically efficient. Its low profileit's only 3.5" highmakes it able to fit into relatively tight spaces. The transport controls, smartly located along the top plate's front edge, are easily accessed regardless of where you place the unit. I cannnot say anything about how great this player sounds compared to any other players, as I have only listened to it during a speaker auditon. Anyway, this player had a very heavy hiss during playback. I've since read that the MPD-3 had a problem with light hiss, which was an inherent part of its design. 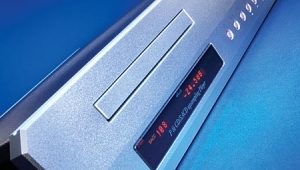 I'm almost certain that what I listened to was the MPS-5 for two reasons: One was that I remember the black part at the bottom of the player, and second was that the first thing we played was a SACD. 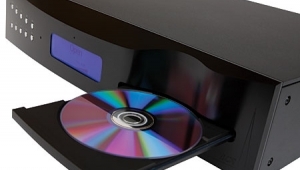 I looked at the CD cover, and it had the SACD logo, and the display on the player said "SACD 2 CH". 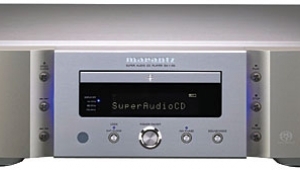 As far as I understand, the MPD-3 is not an SACD player, so it couldn't have been that one. Moreoever, what I read about the MPD-3, the hiss is very low-level. The hiss I heard that day was HEAVY. I first listened to "The sounds of silence" by Simon & Garfunkel, and the hiss was audible throughout the entire song. During the mellow parts, the hiss was like a very heavy tape hiss. When not playing, the player also had this hiss. As I said, I can't say if this is a one-off incident, but in no way was this hiss low-level, and my estimate is that it was 10-20 dB below full scale. The seller was utterly surprised when I mentioned the hiss, which struck me as very odd, but that's a different discussion. He changed the cables, which didn't help. The other channels of the amp didn't have this hiss, and we also tried plugging the player into a different input, but that didn't change anything, and when we plugged in a turntable there was no hiss either. So it could only be the Playback Design player, but it is possible that it was only this one copy that was broken - unless it was designed to sound this way, but this should have shown up in the measurements published here.